Tuffline graphics are easy to remove and replace. Simple solutions that create displays with impact. Seamless integration of graphics creates a truly stunning presentation. 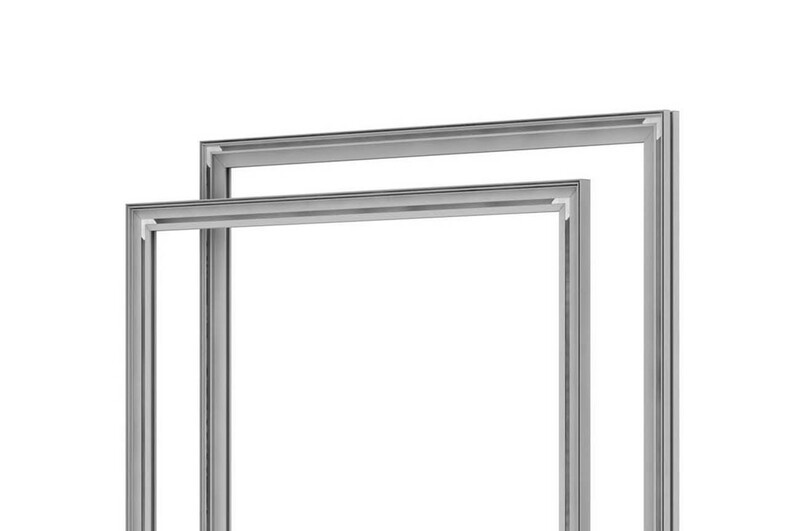 The Tuffline Fabric textile framing system is a unique addition to the Tuffline series. Stretching fabrics in the stylish Tuffline frame allows for an easy changeover and creates great new opportunities. 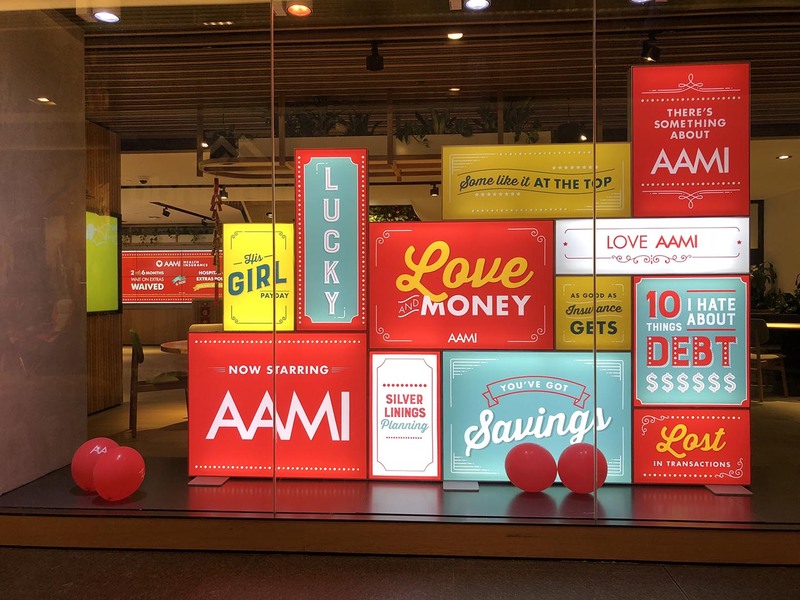 We specialise in fabric faced LED lightboxes, illuminated with either Edgelit LED strips or Ladder lit lights.Fabric graphics are ideal for our LED lightboxes allowing for fantastic colour intensity and accuracy. lightweight, ideal for shipping anywhere. Graphics are easy to apply with the unique Tuffline magnetic strip and easy to remove with the supplied suction cap. 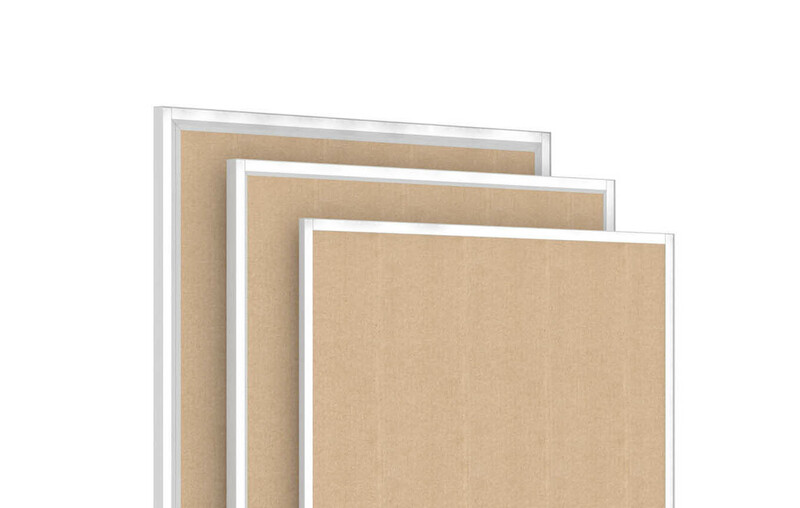 We have an array of different frames to suit your graphic and display needs, in both single and double sided. The Tuffline Fabric Cube is light weight and easily transportable. A variety of rectangular shapes can be made. 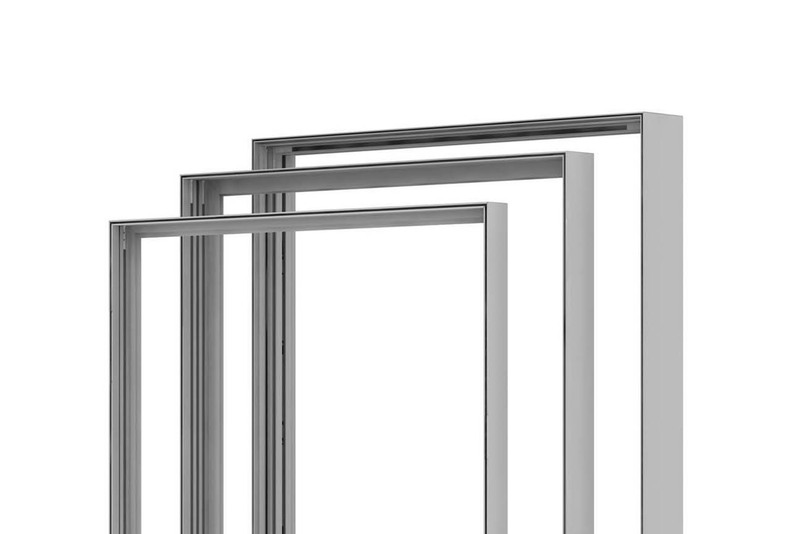 The system can be used for retail, office interior and trade display applications. Suspending from ceiling is possible with our ShopCable system. to its frame. Graphics are easy to remove with the supplied suction cap. An amazingly simple solution, that creates visually arresting displays. 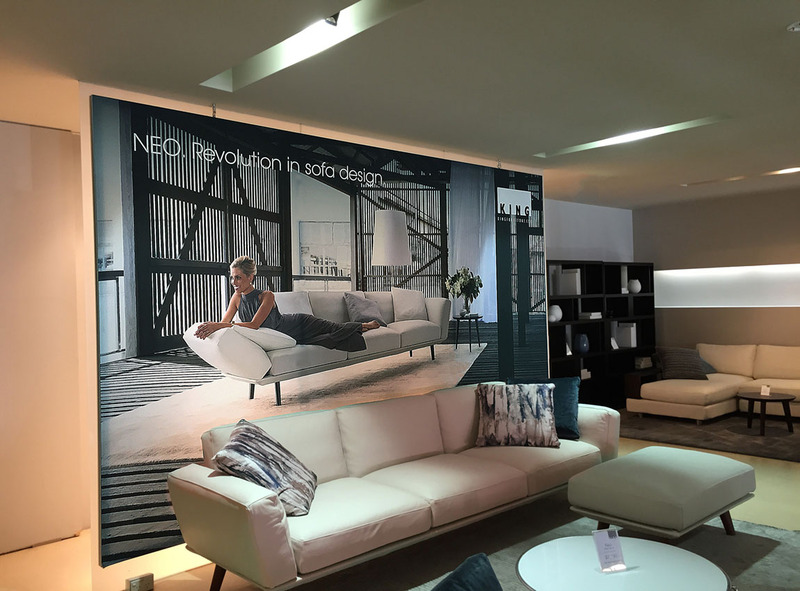 Large Fabric Retail Graphics, A Success Story Still In The Making. The use of fabric graphics for retail marketing is growing by leaps and bounds. It’s now among the digital printing market’s fastest-growing segments. Soft signage is used in retail promotions, point of sale displays and trade show graphics. We specialise in fabric faced LED lightboxes, illuminated with either Edgelit LED strips or Ladder lit lights. 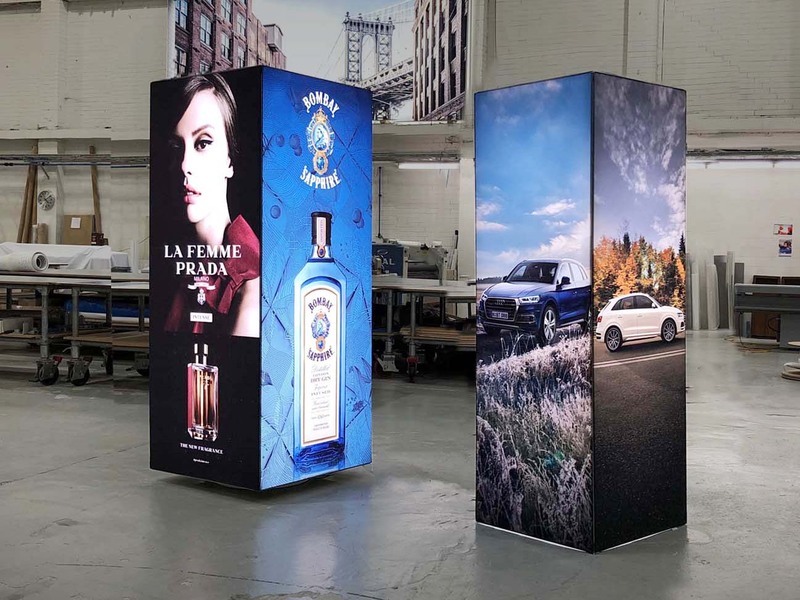 Fabric graphics are ideal for our LED lightboxes allowing for fantastic colour intensity and accuracy. Our EasyFit fabric is non-reflective, lightweight, ideal for shipping anywhere. 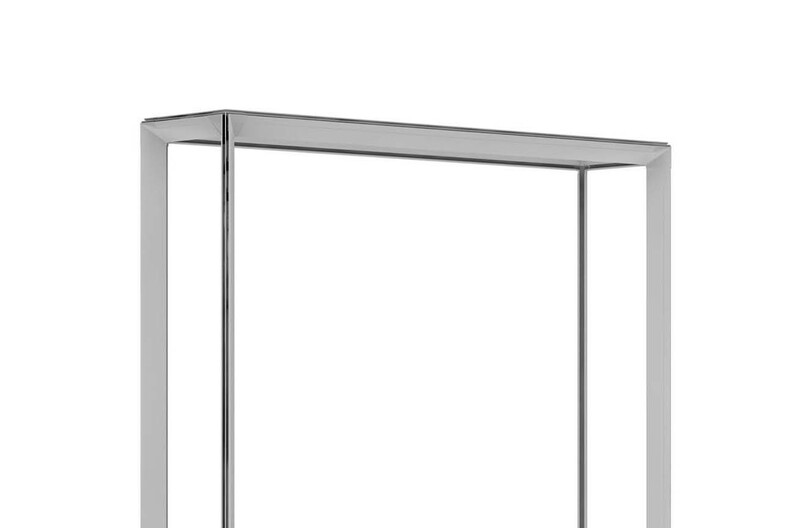 Tuffline Fabric Cube is a versatile indoor display solution. The frame is easily assembled after which the fabric graphics are quickly and easily applied. Great for retail theatre, column wraps etc.